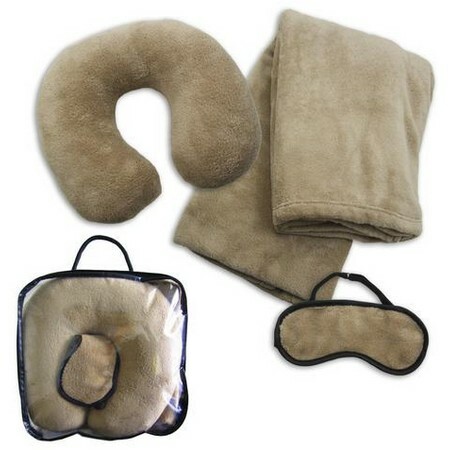 Making it much easier to sleep when traveling, this soft and comfortable fleece travel set has a pillow to cradle your neck, a plush eye mask with elastic band to fit comfortably around your head and a 42 x 61 throw blanket to keep you warm and relaxed. 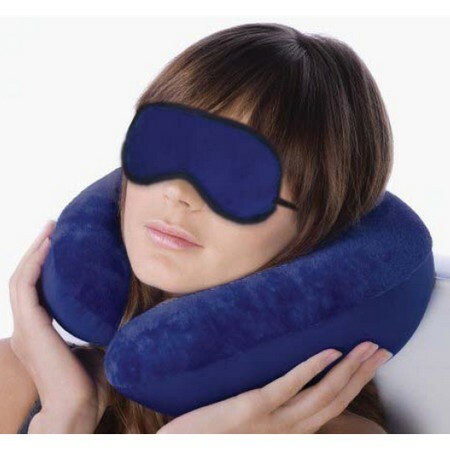 Sizes: Blanket (42x61), Neck Pillow (11x11.5), Eye Mask (8.25x3.5). Packaged in vinyl zippered case with handle. 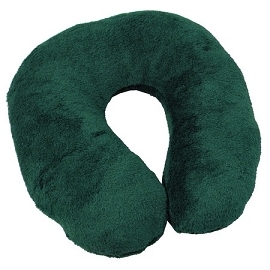 Soft and comfortable, but do NOT put in washing machine! 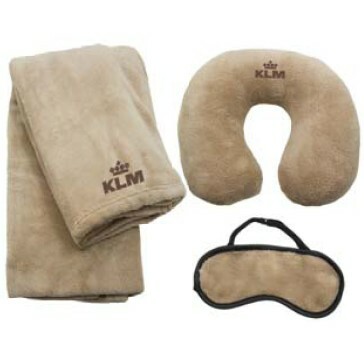 Fleece is soft and comfortable when sleeping on the plane. 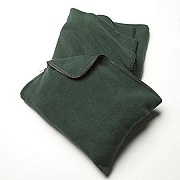 Tag on blanket says dry clean only but website says machine washable. I put it in the washing machine, and the blue fleece got on everything else in the wash! Spent several hours de-linting all my other stuff. This did not happen with the latte set, though. 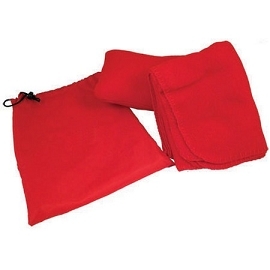 The Fleece Travel Set can be customized with your logo (blanket and/or pillow)! Custom travel sets make great corporate gifts, and are sure to be used and enjoyed for years.